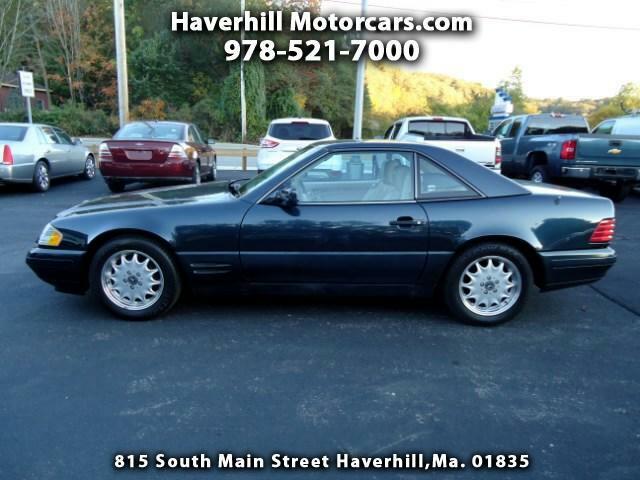 Used 1996 Mercedes-Benz SL-Class SL500 Roadster for Sale in Haverhill MA 01835 Haverhill Motorcars, Inc. WOW!! This 1996 Mercedes Benz 500SL is a must see!! This Florida car has been a Florida car until June of 2015 and it was a new car trade at a Mercedes dealer in New Hampshire. Car Fax verifies this. This classic Mercedes runs like a dream, goes down the road straight and has plenty of power. The paint on this car is beautiful, and so are the rims. This Mercedes has been well loved by it's previous owners. If you have been looking for a low mileage fun car to drive....THIS IS A MUST SEE!! ***** PLEASE NOTE this car is by appointment it is currently garaged. Message: Thought you might be interested in this 1996 Mercedes-Benz SL-Class.